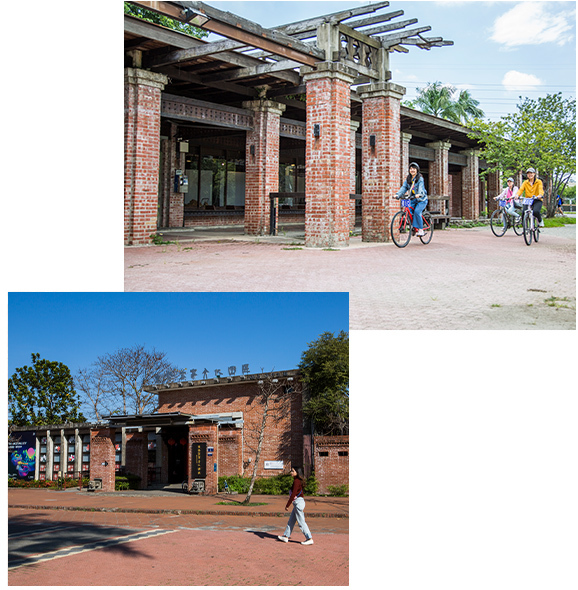 Taichung City Government refurbishes the free space in waiting room of the old station into Hakka Cultural Park. The museum exudes a deep sense of Hakka architectural style. Not only display Hakka cultural assets but also hold Hakka performances here to promot Hakka culture. Dongfeng green corrider, a old railroad spur, which is carrying the history of Dongshih. Nowadays, under Taichung city government's planning, it becomes the country's first bicycle lanes converted from abandoned railway. 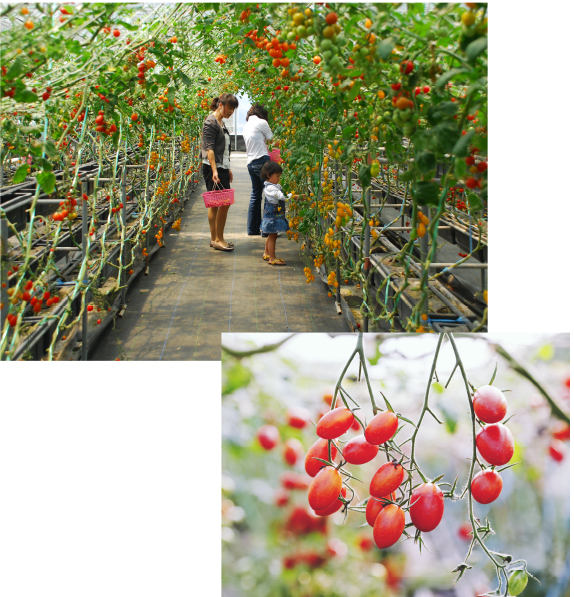 It is about 12-kilometer-long. Along the way you can see the beautiful scenery and magnificent Tachia River nearby reflecting each other. 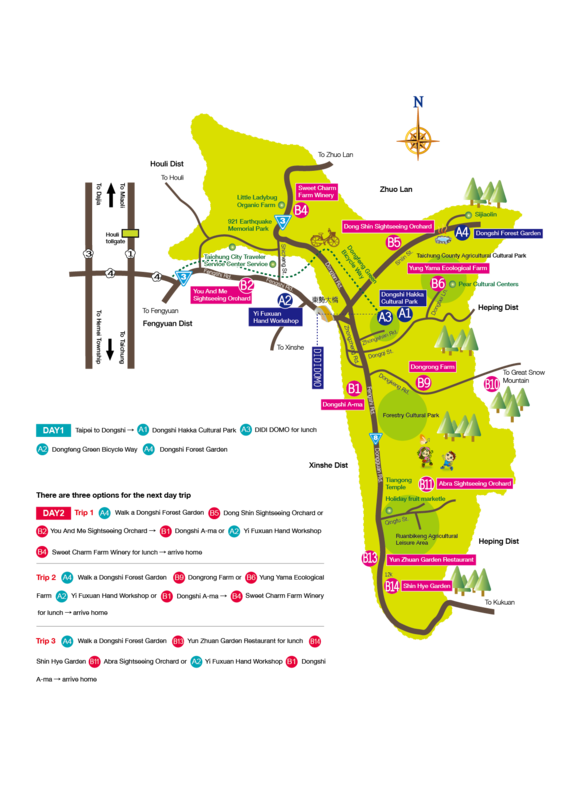 On every weekend holidays, there will attract many visitors to ride a bike leisurely, enjoying the landscape of the field and mountains as the seasons change. How refreshing! 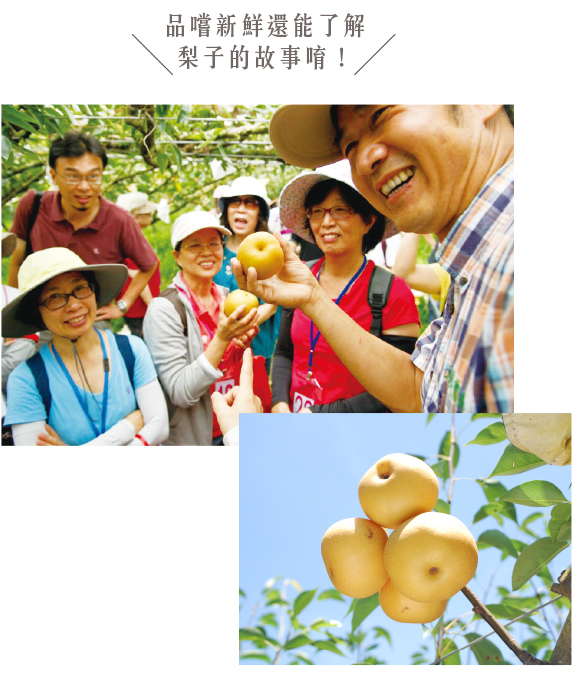 “You And Me " sightseeing orchard selects the novel multi-layered three-dimensional cultivation method, in the orchard crops presents in steps, has orderliness growth ecology, specialest is the upper formation tomato, uses the similar grape trellis, enables the tomato growth process to climb up, forms for the orchard in the natural green awning, because the perspective feeling is good, the orchard sunlight sufficient ventilates.Therefore, in orchard vitality abundant, on is a red green mixture tomato, the one's side is the different variety tomato or the vegetables. 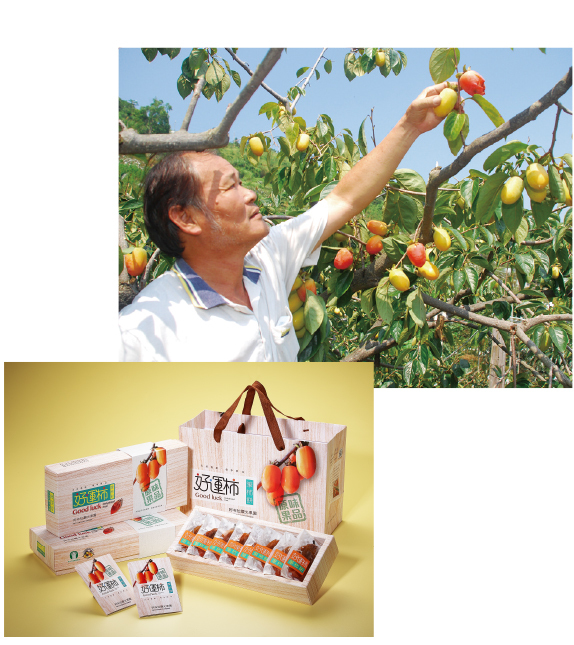 Orchards are made from Sweet persimmon, Pen persimmon and the sweet peach Combination,you can pick fruit while enjoying the scenery.Abra sightseeing Orchard long-term planter pen persimmon, every year from November to January is the harvest period,Farmers will turn some of fruit into dried persimmon,the whole approach is the most natural, does not increase any chemical agent and the pigment and so on, the taste micro sweet but not greasy, has chews the vigor, is the good quality dried fruit, welcome you to arrive! 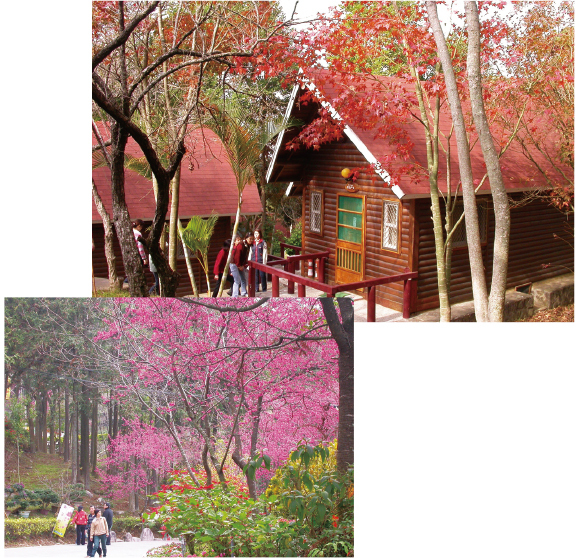 The most beautiful forest garden, holiday outing, training workshops, a good place for ecological education and a well-equipped suites and vacation cabins to choose from. 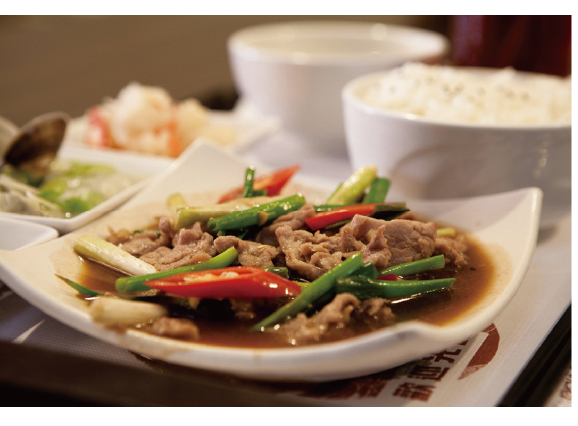 Homemade Hakka traditional food,adhere to the traditional method,and in line with the concept of health,natural and delicious to make good food. 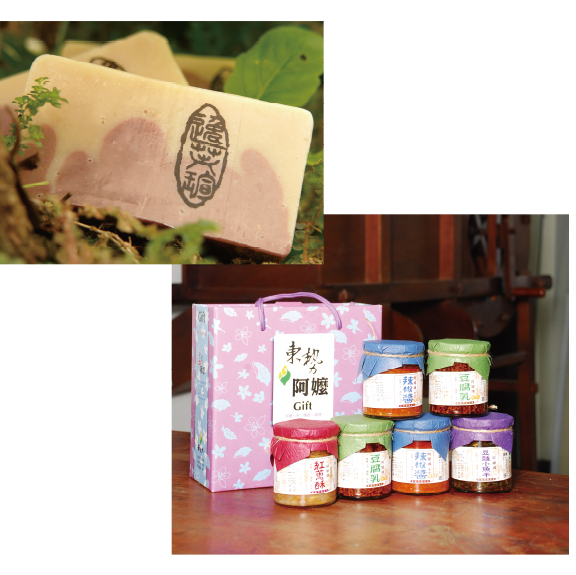 Products from Yi Fu Xuan are made of precious chinese herbal medicine and vanilla,and made of cold process soap.There is no chemical spices addea, the concept of management is "Taken from nature back to nature".The production of hand soap called "Royal soap", it's better than name brand counters. Winery wine is no longer just a place, but also personally decorated bottles! 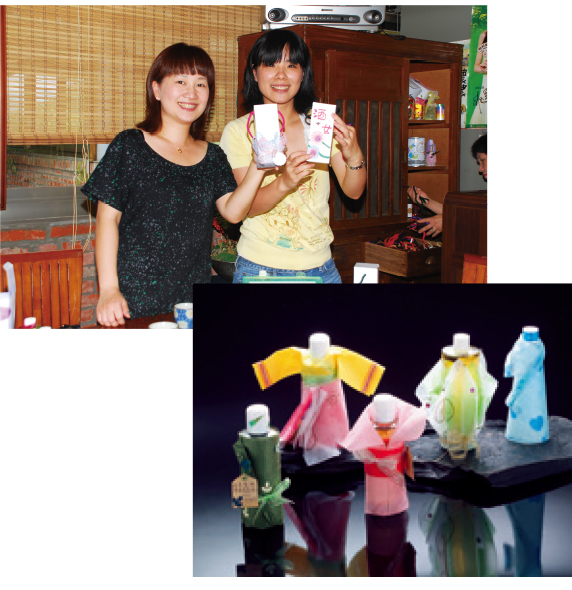 They designed their own distinctive bottle, making a unique package for the trip back to a full commemorative souvenirs, ideal for family child, companies or associations, etc., or increase the emotional parent-child communication, adding a harmonious relationship and joy memories!